Policing expert: Freddie Gray death a "spectacular institutional failure"
BALTIMORE - When State's Attorney Marilyn Mosby announced the indictments of six Baltimore police officers in the death of Freddie Gray on Friday, she said that the charges were "not an indictment of the entire police force." But former NYPD officer and prosecutor Professor Eugene O'Donnell, who has written about police-minority relations, disagrees. "This is a spectacular institutional failure," O'Donnell told 48 Hours' Crimesider. "The police chief should go over this. He should go today." In her press conference Friday morning, Mosby, Maryland's attorney for Baltimore City, said the officers "illegally" arrested Gray. She said the encounter began when two officers "made eye contact with Mr. Gray," who ran, but then surrendered. On his person, officers found a knife, which Mosby said was legal. "Lt. Rice, Officer Miller and Officer Nero failed to establish probable cause for Mr. Gray's arrest as no crime had been committed by Mr. Gray," said Mosby before a crowd. 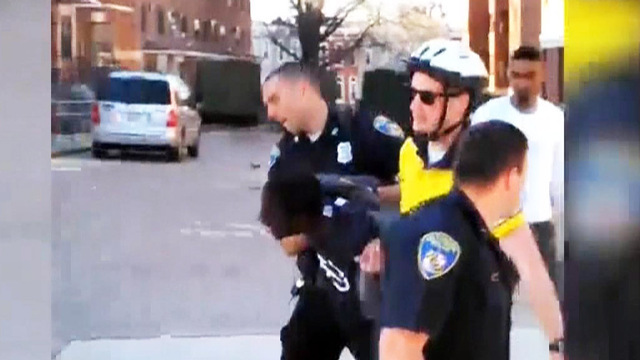 She went on: "Mr. Gray suffered a severe and critical neck injury as a result of being handcuffed, shackled by his feet and unrestrained inside of the Baltimore Police Department wagon." And, despite Gray's pleas for help, as well as multiple officers checking on him multiple times, Mosby said the officers chose to respond to subsequent calls instead of seeking medical aid for Gray. "This is the kind if thing you'd see in a third world country," said O'Donnell, now a professor at John Jay College of Criminal Justice. "A guy is arrested for running, thrown in a van, driven around town, and then dies." John DeCarlo, the former chief of police in Branford, Conn., told Crimesider that the charges didn't surprise him because "what these cops did was tantamount to torture." That said, O'Donnell thinks Mosby may have overcharged the cops and says that the case against them is "not a slam dunk." The police union that represents the officers issued a statement Friday saying that "each of the officers diligently balanced their obligations to protect Mr. Gray and discharge their duties to protect the public."